Danger Dan & Gadget Girl: Celebrate National Day with 40% discount off Danger Dan books! Celebrate National Day with 40% discount off Danger Dan books! Danger Dan meets Gadget Girl, but all is not well with the history of Singapore… In this whimsical and witty series, Danny doubles up as Danger Dan when pivotal past events goes topsy-turvy and causes a time warp. What if Zubir Said never composed ‘Majulah Singapura’? What if it was not a lion that Sang Nila Utama first saw? What if our Merlion wasn’t a fusion of fish-and-lion? Living life dangerously has never been so fun, nor so funny. 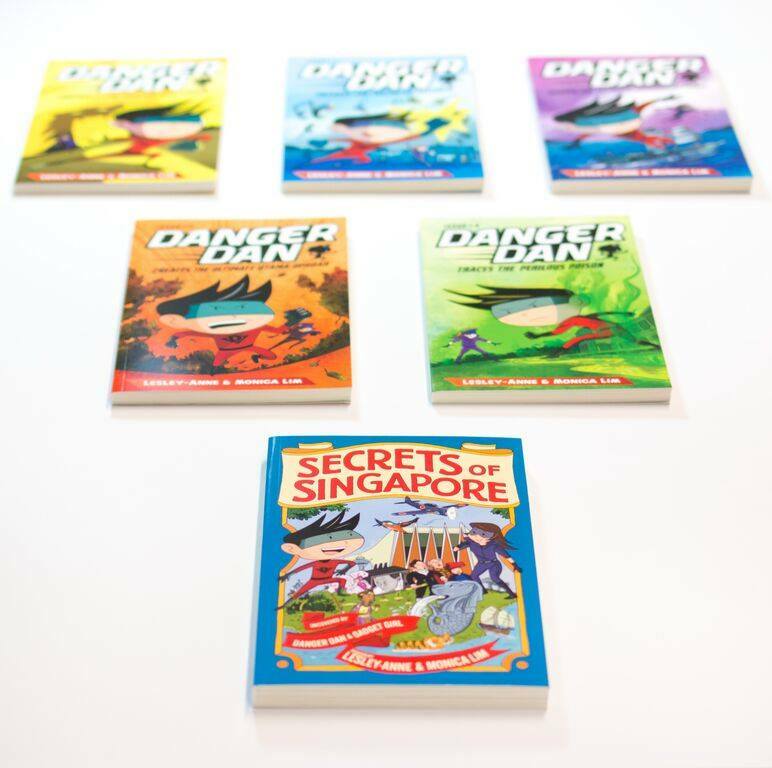 Epigram Books is offering a very special National Day promotion - 40% discount off all Danger Dan books (except Secrets of Singapore)! Click on this link to enjoy the offer. From now till 15 August 2015.